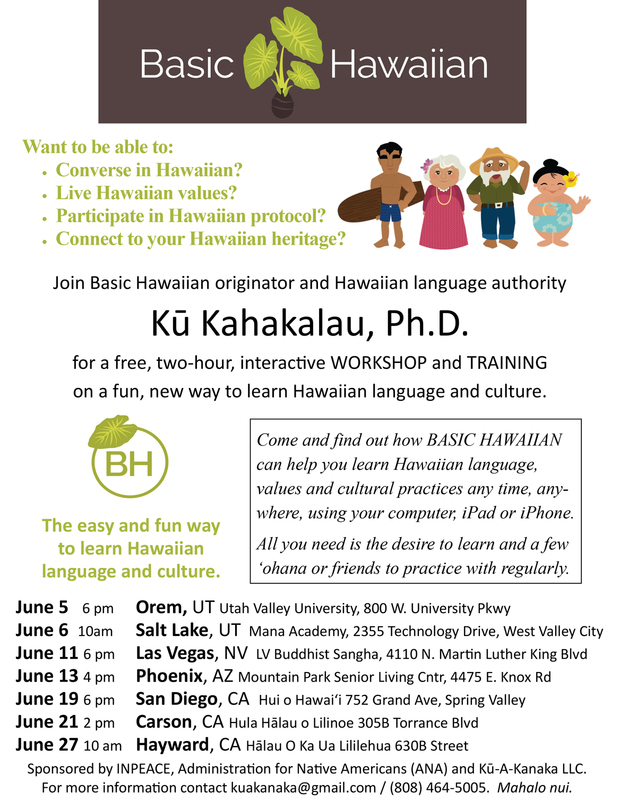 Join Basic Hawaiian originator and Hawaiian language authority Ku Kahakalau, Ph.D. for a free, two-hour, interactive workshop and training on a fun, new way to learn Hawaiian language and culture. Come and find out how BASIC HAWAIIAN can help you learn Hawaiian language, values and cultural practices any time, any- where, using your computer, iPad or iPhone. All you need is the desire to learn and a few ?ohana or friends to practice with regularly.